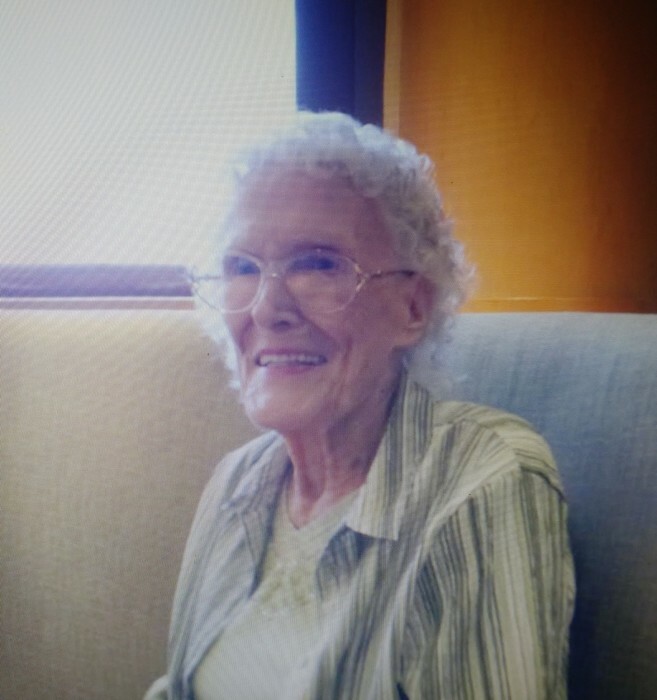 Twana Stohler entered eternity peacefully at home on November 25, 2018. She was born October 28, 1928 in Tecumseh, OK, to Robert Henry & Dorothy McConnell Britt. Living in Shawnee, OK before moving to Lyford, TX. As a small girl. She met her husband Shelton Stohler in Harlingen, TX. and they married in 1945 until his death in 2005. They spent their life in La Feria, TX. Until moving to Smithville, TX after retiring from Sears. She was a member of the First Baptist Church of Smithville, TX. And belonged to several clubs that played games and dominoes. She is preceded in death by her parents, brother, Daryl Britt, sister Maxine Smith, husband Shelton & daughter Diana Joy Stowe. She leaves behind her daughter& husband James & Kaye Fowler, her sons & wives, William Earl (Bill) & Debbie Stohler, Shelton (Buddy) & Barbara Stohler Jr., and her daughter Kathleen Denise Holm. She is grandmother to Christina Ballard, Tiffany Ede, Patricia Bussman, Wiley Fowler, Billy Stohler, Rebecca Stohler, Wedel, Jared Smith, Shelly Stohler Adams, Joshua Stohler, Jeannie Stohler, Terry Holm, Kristopher Holm, Hollie Holm Adhikari and their spouses plus 16 great grandchildren. Graveside Visitation will be held Thursday November 29, 2018 @ 11:30am in the Restlawn Memorial Park Cemetery with Graveside Service to be at 12:00pm also in Restlawn Memorial Park Cemetery 14166 US-83 Business, La Feria, Texas 78559.